Several local students will take the stage as the Portland Ballet presents "Current/Classic," a showcase of the company's advanced dancers. Two concerts will take place May 4 and 5, at Portland State University's Lincoln Performance Hall. • Jacob Amey, age 17, of Beaverton's Arts and Communications Magnet School. This is his first year at TPB. He has attended summer programs at ACMA and TPB. • Nicolas Bierwagen, 17, of ACMA. This is his third year at TPB. He has attended summer programs at Atlanta Ballet, Northwest Dance Project, and TPB. At 17, Bierwagen said he's already thinking about taking dance to the next level. "College? Definitely," he said during a break rehearsing at ACMA. "I just really enjoy dancing. It gives me an outlet to express my artistry." The upcoming performance is titled "Current/Classic" and Bierwagen said he was drawn to that. "It's newer works and classical works, and I really like that blend." • Zoey Blechschmidt, 15, of Beaverton High School. This is her ninth year at TPB. 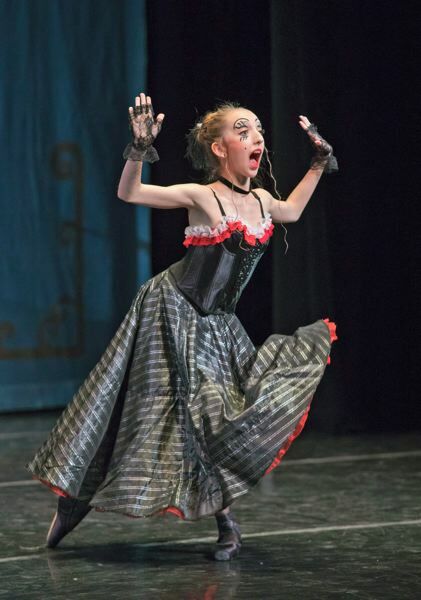 She has attended summer programs at School of Oregon Ballet Theatre and TPB. She has a black belt in Taekwondo. She has been accepted into the Beaverton School District's Summa Program, which is for highly gifted students who place in the 99th percentile. • Lydia Butler, 13, of Sheridan All Prep Academy. This is her second year at TPB, where she is in the Career Track program for pre-professionals. She has attended summer programs at Pacific Northwest Ballet, School of Oregon Ballet Theatre, Portland Youth Ballet, and TPB. • Alexa Campbell, 13, of ACMA. This is her sixth year at TPB. She has attended summer programs at American Ballet Theatre and TPB. • Andrew Davis, 14, of ACMA. This is his ninth year at TPB. He has attended summer programs at Young Musicians and Artists, and TPB. "This show is pretty challenging," Davis said of the upcoming show. And although only 14, Davis said he's not a newcomer to dance. "I've been doing this since I was really small. It feels like it's part of me." • Ariana Davis, 16, of ACMA. This is her 10th year at TPB. She has attended summer programs at American Ballet Theatre, San Francisco Ballet and TPB. • Elysée Donaghy, 14, of EdGenius. This is her first year at TPB. She has attended summer programs at Ballet Arts Academy, The Dallas Conservatory and TPB. • Annika Fougli, 16, of St. Mary's Academy. This is her second year at TPB. She has attended summer programs at American Ballet Theatre, School of Oregon Ballet Theatre and TPB. She is fluent in and tutors Mandarin Chinese. • Lauren Grover, 15, of Indiana University Online High School. This is her fourth year at TPB, where she is in the Career Track program for pre-professionals. 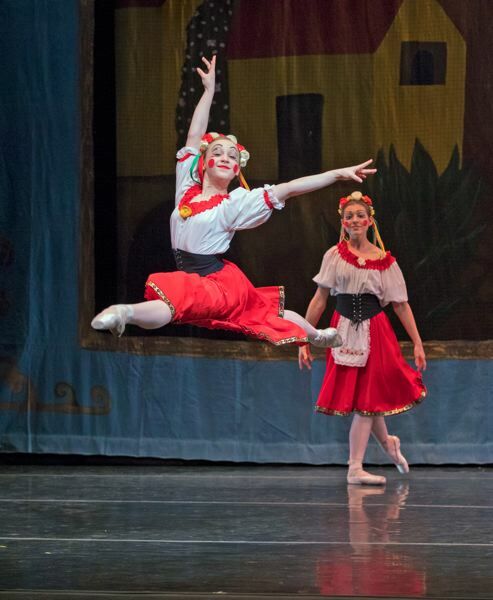 She has attended summer programs at City Ballet of San Diego, Walnut Hill and TPB. • Yasmin Husted, 17, of ACMA. This is her fifth year at TPB. She has attended summer programs at Arts & Communication Magnet AcademyACMA and TPB. • Delia Matern, 13, of ACMA. This is her third year at TPB. She has attended summer programs at Houston Ballet Academy and TPB. Currently in seventh grade, Matern is one of the younger dancers in this show. "The older students are great. They know what you're going through and they help," she said. And she likes having so many classmates from the Beaverton alternative school in this production, she said. "At ACMA, we're all family. It's more fun to dance with friends." • Paige Nicholson, 18, of the PCC Early College Program. This is her eighth year at TPB. She has attended summer programs at TPB. She received a NASA research grant last fall to study the ablation rate of glaciers. • Giselle Tiret, 14, of Summit Learning Charter. This is her sixth year at TPB, where she is in the Career Track program for pre-professionals. She has attended summer programs at Ballet West, The School of American Ballet, San Francisco Ballet, School of Oregon Ballet Theatre and TPB. Guest artist for the show is Alexander Negron, who was introduced to dance at age 8 through Eliot Feld's Ballet Tech outreach program in New York City. Two years later, he joined the School of American Ballet under the direction of Olga Kostritzky, and later Jock Soto. He studied at Ballet Academy East in NYC, as well as San Francisco Ballet School as a Trainee. 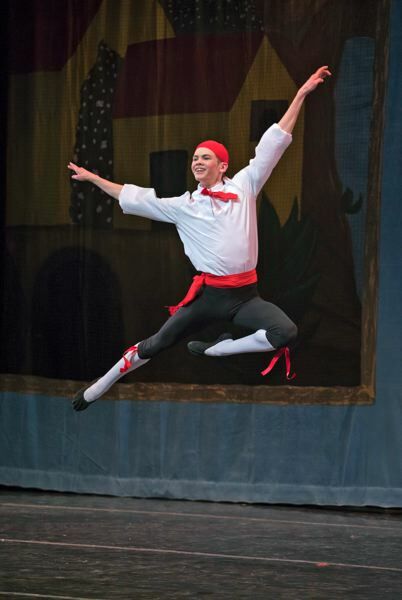 Negron joined Oregon Ballet Theatre in 2014, performing works by George Balanchine, Nacho Duato and Nicolo Fonte. In 2016, he transferred to Milwaukee Ballet, performing roles by August Bournonville and Artistic Director Michael Pink, which included contemporary and neoclassical new works. 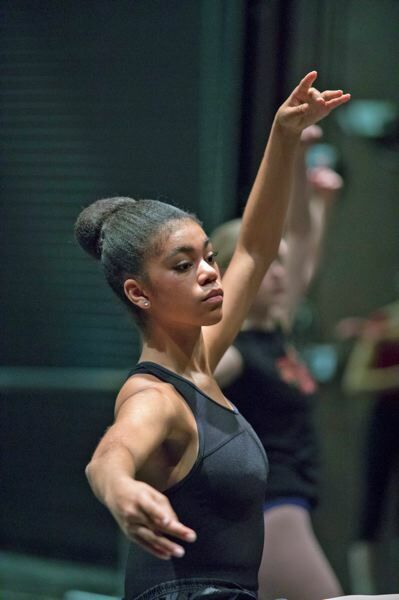 The mixed-repertoire program of contemporary and classical pieces will feature "Us" by Portland choreographer Josie Moseley, and excerpts of "Donizetti Variations" by George Balanchine. Dancers also will perform "Everything Slightly Rosy" by co-artistic director Anne Mueller; "Secede," a new piece by academy principal Jason Davis; the Vision Scene from "Sleeping Beauty," a classical Petipa work; and will pay tribute to the 25th anniversary of the death of Dennis Spaight with an excerpt of "Schubert Songs" and a duet from "Gloria." Spaight was a principal dancer, associate artistic director and resident choreographer at Oregon Ballet Theatre for many years.